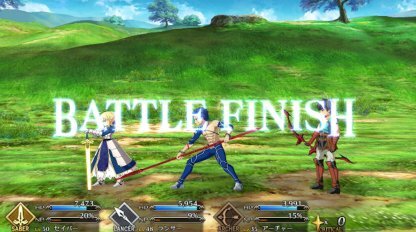 On this page you’ll find out how to perform quick Rerolls in FGO (Fate/Grand Order). Use this as your guide if you want to know all about re-rolling in FGO, what to aim for, and important points to remember. First of all install the game from the App Store or Google Play. If you search under “FGO” you’ll be able to see it right away. Start up the game, then after all data is downloaded the tutorial will begin. You can progress by simply following the on-screen instructions. Reduce the amount of time it takes by skipping as much of the story and explanatory text as you can. As you progress through the tutorial you get to perform a 10x Summon. 5★ Servants aren’t available in this Summon, so one of your goals here is pulling a good 4★ unit. Once you have finished the first battle in Chapter 3, along with the log in bonus in the Present Box you will now have 3 Saint Quartz. Use these to perform a 1x Summon. As this is a regular Summon, 5★ Servants will now be available. On the Summon screen, if you keep swiping to the right you will find the Friend Point Summon. Use as many Friend Points on this as you can. 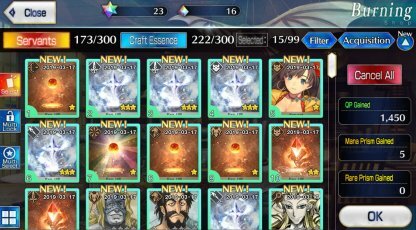 Sell the Craft Essences and Servants you pulled on the Friend Point Summon for Mana Prisms. Depending on the rarity of the items you pull you may not be able to teach the target of 20 Prisms. 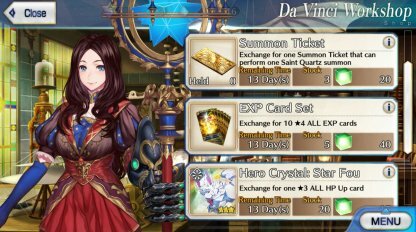 If at stage 6 you managed to reach 20 Mana Prisms, now exchange these in the Shop for a Summon Ticket. The first goal of an FGO Reroll is pulling a good 4★ Servant in the tutorial 10x Summons. Heracles is particularly useful for progressing later on in the game. 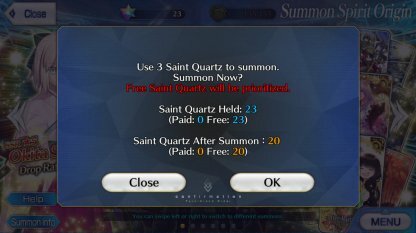 The second goal of an FGO Reroll is pulling a 5★ Servant in the Saint Quartz and Ticket Summons. If you get a 5★ Servant here, you don’t need to re-roll again. From when you first install the game a Reroll in FGO takes about 20 minutes. 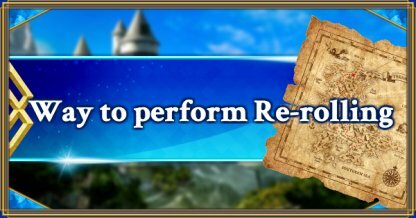 In this time you can get a guaranteed 4★ Servant in the tutorial 10x Summon, and perform a 1x Summon once or twice. In 20 minutes you have 1-2 chances of getting a 5★ Servant. 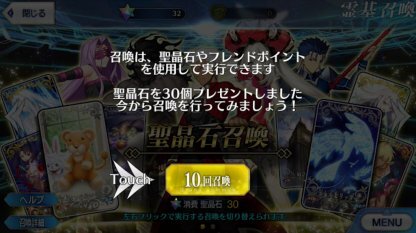 5★ Servants do not appear in the tutorial 10x Summon. You are guaranteed a 4★ Servant, which is randomly dropped from a Summoning pool of specific 4★ units. There is a 1% chance of pulling a 5★ Servant in the Saint Quartz 1x Summon, which you get 1-2 chances at in a Reroll. Since the number of times you get to pull is so low, aiming for a 5★ Servant with Rerolls is going to take a lot of time.